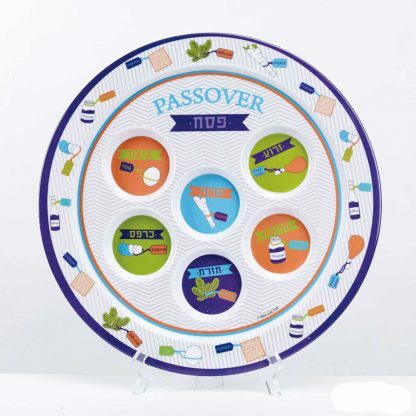 This Passover Seder Serving Tray is a welcome addition to your holiday gathering! 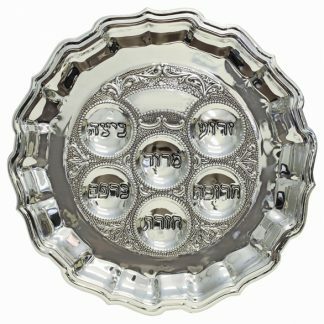 This round tray features spaces for the six traditional Passover symbols, plus their Hebrew names and English names. Great addition for children’s table!